"Three things seem inevitable: death, taxes, and the yearly ritual of an imaginary war on Christmas. That’s right. Every year the forces of persecution band together and claim that if everybody in the country doesn’t at least pretend to be Christian during the Pagan holiday season, they are waging a war on Christmas." It is amazing to me that Sarah Palin is still reputable to some folks. It shows how uneducated some citizens of America can be. More importantly how people with big money, can use Sarah Palin to fool those people and rob them of the little money they have to buy books Sarah's name appears on. Sarah Palin / SP = Sexual Pathology? Sarah Palin is so in denial that Barack Obama is currently our President that she thanks George W. Bush for bringing Osama Bin Laden to justice. Update! DIRTY LITTLE SECRET…OR NOT: Did Sarah Palin really give birth to baby Trig? Are These Tragic Deaths in Arizona and Alaska Coincidental? 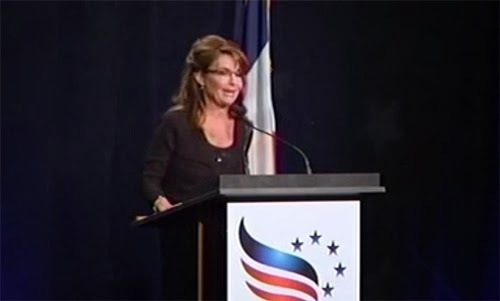 Part 1: Is Sarah Palin Mentally Unstable?